Whether your device has started to give out and you want to give it a tune-up or you’ve decided to gift an old device to a friend this festive season, you’ll need to restore the factory settings to leave it clean and like new. Luckily, to keep from losing information there are apps like AirDroid that let you manage your device and everything on it without running into any problems. 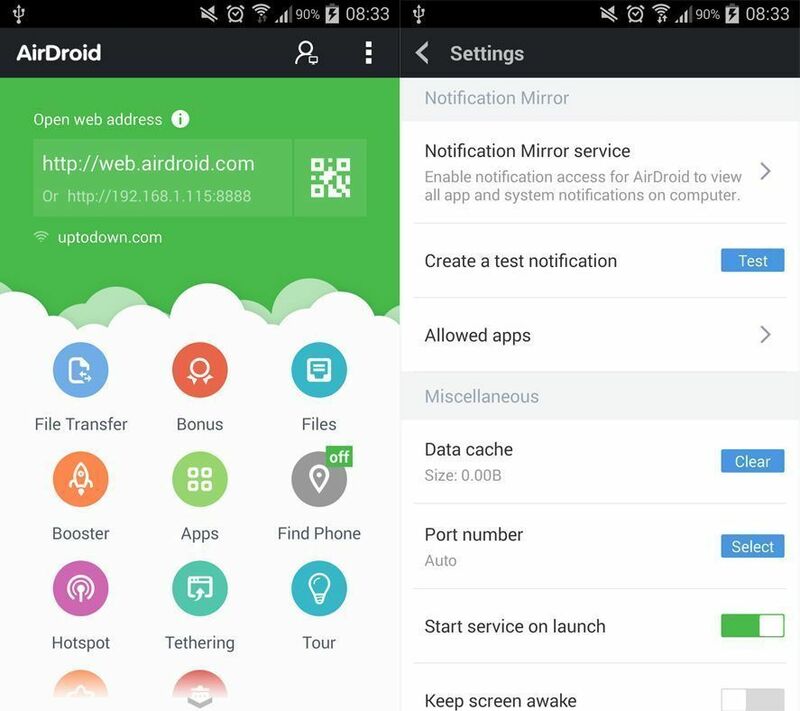 AirDroid is a very complete tool that will sync your PC with your Android, so you can browse through the insides of your device with the utmost ease, and edit, create, or delete any kind of data on it. You’ll need to install the app on both devices, and then you control your Android right from Windows with your keyboard and mouse on the big screen. This will make it simpler to store the info you don’t want to lose when you go to restore the device’s system. This version’s interface perfectly incorporates all the important features you’d expect from any good tool of this sort. On the home screen you’ll find your personal data page, which will list all the devices linked to your account and the amount of data transferred (the free version limits this to 200 MB). 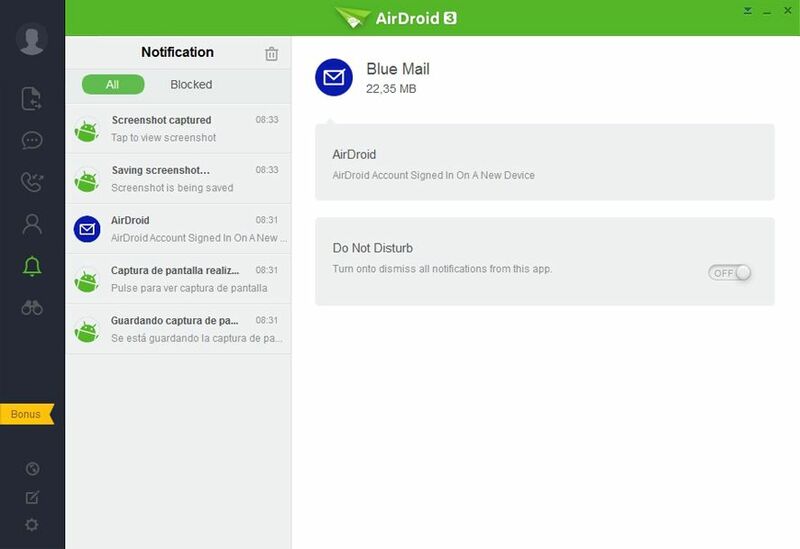 On the other hand, a big advantage of AirDroid is that not only can you copy and edit the phone information, but it’s also easy to do things like send messages or respond to Telegram or WhatsApp messages: just type your text and click Send. Anything that happens on the mobile once it’s linked to your PC will appear on the screen as a notification. It’ll thus be easy to see when that important email or chat arrives or when someone is calling you, as everything will show up as a pop-up. This is a good way to clear out the device without having to reset your device’s entire configuration, or retain a section of your data while deleting everything else. Thus, you’ll leave it almost like new while keeping anything you still need. This is the tool where you can choose which multimedia files you’ll move to your PC. No matter the number of documents you want to move, no matter their extension, AirDroid doesn’t exclude any type of format or size, which means you’ll have complete control of your files. It also incorporates options to uninstall apps you have stored on your memory or to improve your RAM speed, as well as activate a phone tracker in case of loss or theft. These features, which only work on Android, perfectly top off the list of things you can do with AirDroid. To link the two tools you need to log in on both devices with the same email address and activate the ‘Notifications replication service’ option on the Android. Once they’re linked you can browse around the inside of your device with complete freedom. 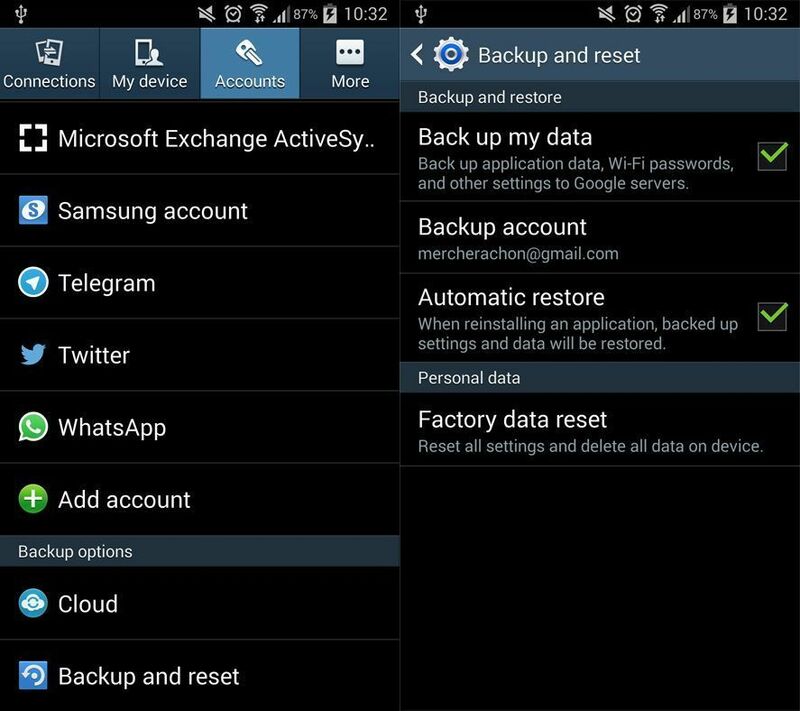 If what you want to do is a complete restore, without saving any sort of data, your preferred option will be the System Restore method included on all devices. With this option you’ll have the ability to make a backup copy in case you lose something important during the restore process. To do so you’ll need to add an email address that all the data will be synced to. Once the process is complete, you’ll need to reconfigure everything from zero. This is the most efficient method to use if you want to give your device as a gift. Stormbound: Kingdom Wars – A real alternative to Clash Royale?